ProLegal provides a cost effective and efficient method to obtain discovery records with Civil, Federal, Workers Compensation subpoenas or HIPAA compliant Authorizations. With our litigation support team’s knowledge of discovery law, we meet all federal, state, and local requirements. 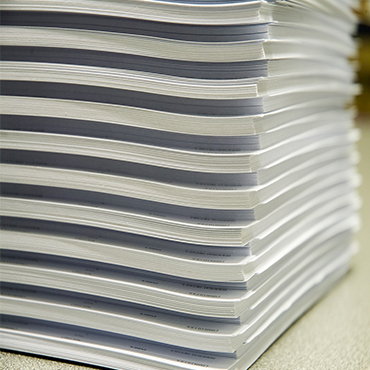 Our personnel are experienced and knowledgeable in handling any record retrieval or onsite photocopying of records. Scanning records saves valuable time in the field, which we can pass on to you as additional savings. Once the records have been scanned, digital images can then be digitally printed, imaged to CD-ROM or delivered electronically. We maintain the secured images digitally and at any time during discovery you are able to obtain additional images by simply contacting ProLegal. Our Records Staff and Field Agents closely monitor your request to ensure document production at the earliest possible time. We also hand delivers most of the notices to opposing counsel saving you valuable turnaround time. Electronically, we provide “real time” job completion information including daily status reports available online at no additional cost. Prolegal Imaging and Copy Service is your source for all your litigation support needs. Imaging documents provide you with better efficiency and control over your discovery documents. We make it our job to know your project requirements.